"You know you want me." 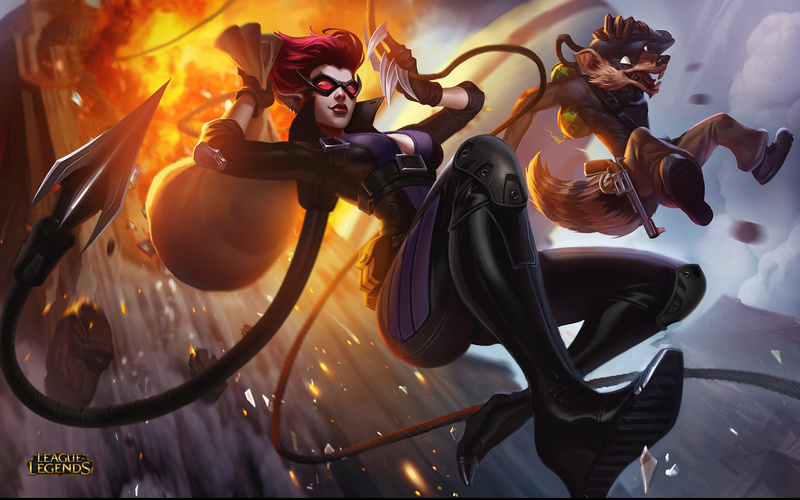 Following multiple social media teasers, Evelynn's champion reveal is now here! 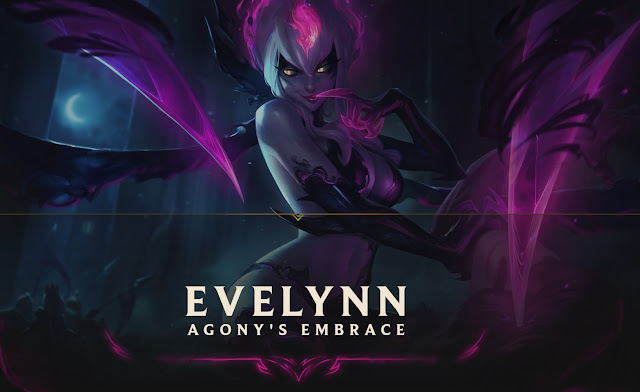 Check out Evelynn, Agony's Embrace! 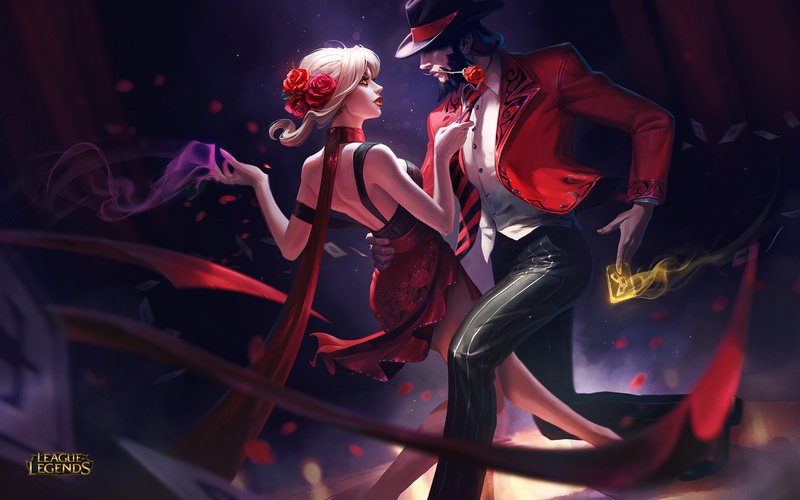 "The demon Evelynn lures in prey with a beautiful lie: the voluptuous façade of a human woman. Once her victim succumbs to her charms, she subjects them to unspeakable torment, gratifying herself with their pain." 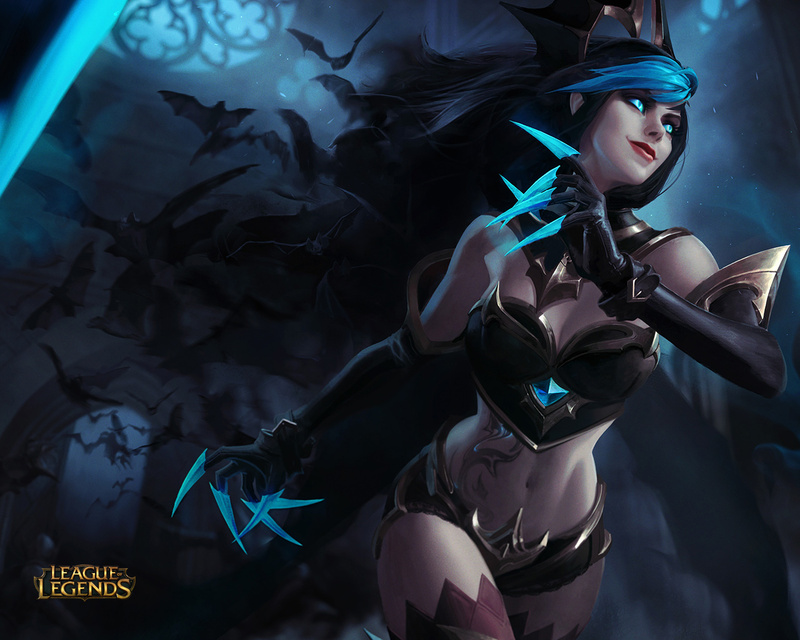 Continue reading for more information, including a look at Evelynn's updated look, kit, and skins! 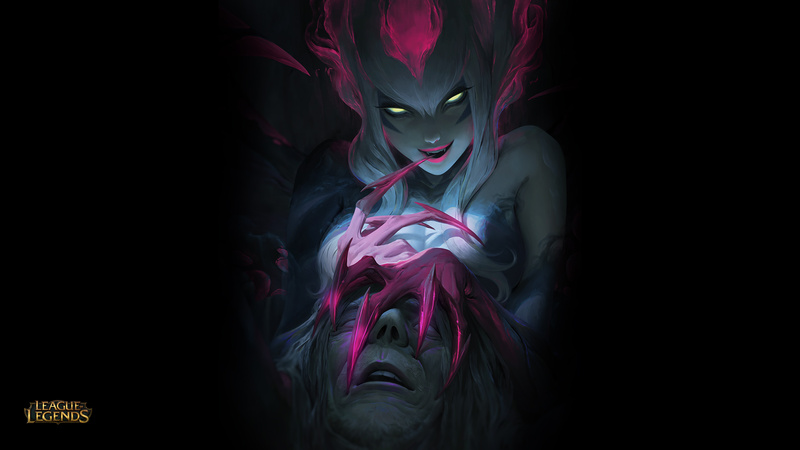 The demon Evelynn lures in prey with a beautiful lie: the voluptuous façade of a human woman. Once her victim succumbs to her charms, she subjects them to unspeakable torment, gratifying herself with their pain. And yet, humans expire so quickly during agony's embrace. 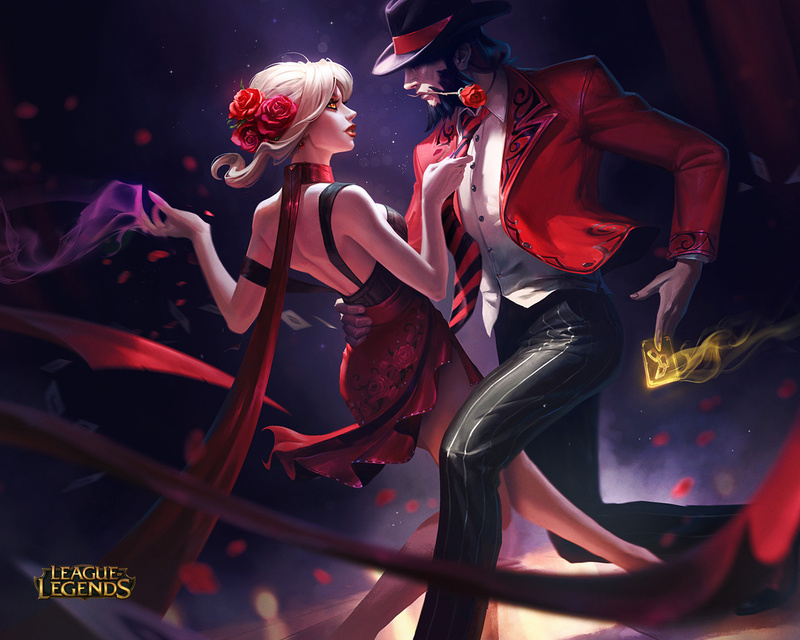 Any one dance grants Evelynn only a tiny morsel of pleasure—just enough to tide her over until the next feeding. After avoiding combat for a few seconds, Evelynn is enveloped by Demon Shade. If Evelynn's health is low, she'll recover it quickly while this ability is active. Starting at level 6, Demon Shade also grants camouflage—this makes Evelynn hidden from view to all except nearby enemy champions, control wards, and turrets. 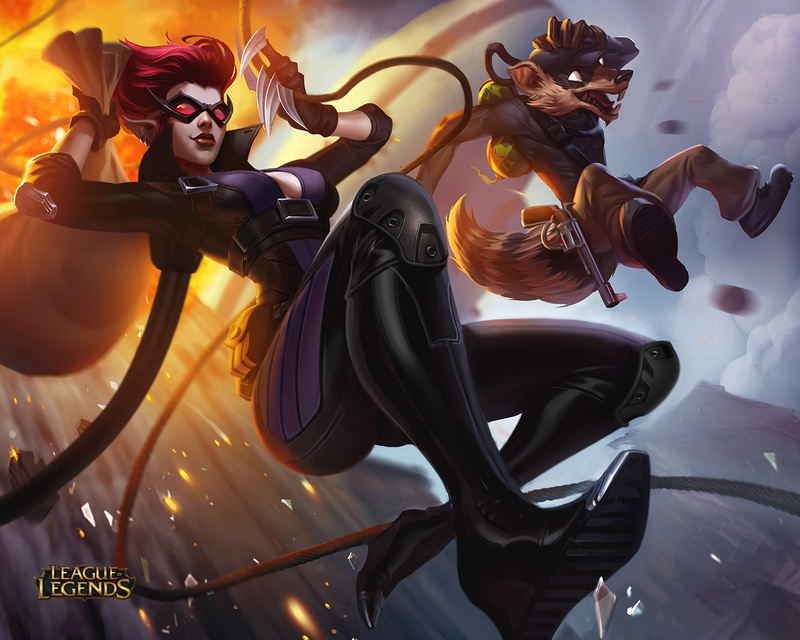 Hate Spike -Evelynn lashes out in a target direction, dealing damage to the first unit hit. 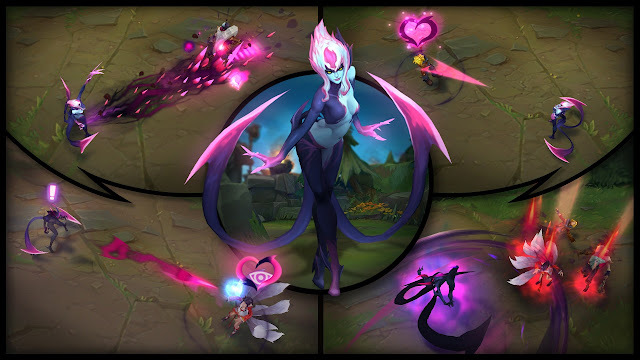 If the lash strikes a target, Evelynn's next three spells or attacks on that target will deal additional damage. If the struck target is a monster, a significant chunk of Hate Spike's cooldown will be refunded. After the initial cast, Evelynn can recast Hate Spike up to three times to fire a line of spikes through the nearest enemy. The spikes deal damage to all enemies hit. Hate Spike prioritizes the enemy Evelynn is attacking. 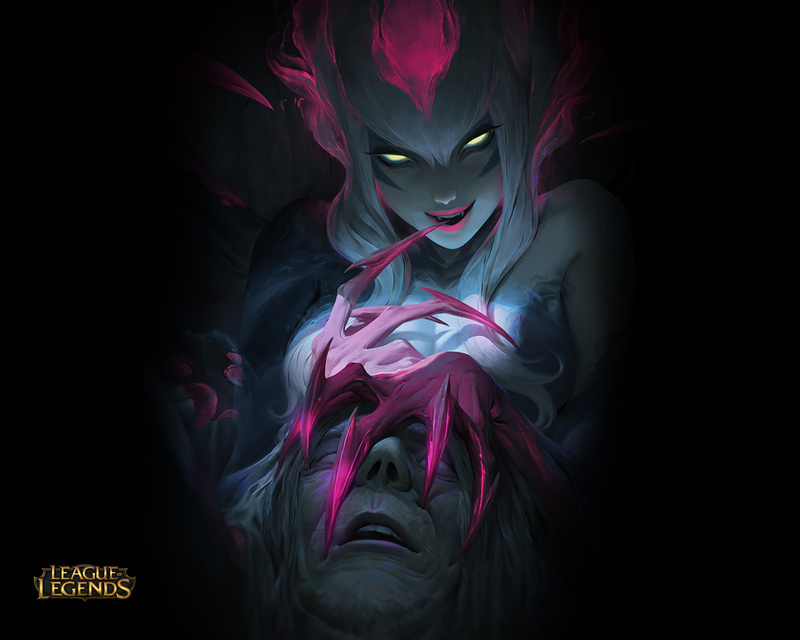 Evelynn briefly curses a target champion or monster, briefly revealing her location to her target. Hitting the cursed target with basic attacks or Eve's other spells will expunge the curse, refunding Lust Dust's mana cost and significantly slowing the target. If the curse lasts for at least a couple of seconds, expunging it will charm the target. If the target is an enemy champion, their magic resistance will be reduced for a few seconds. If the target is a monster, the length of the charm will be increased and the spell will deal bonus damage. Casting Lust Dust does not break Demon Shade's camouflage. 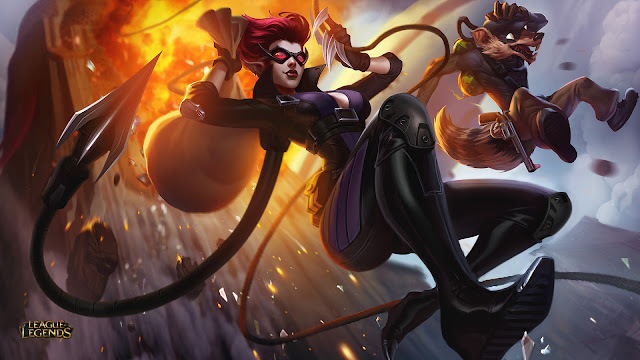 Whiplash - Evelynn impales an enemy with her lashers, applying on-hit effects and dealing damage as a percentage of the target's maximum health. 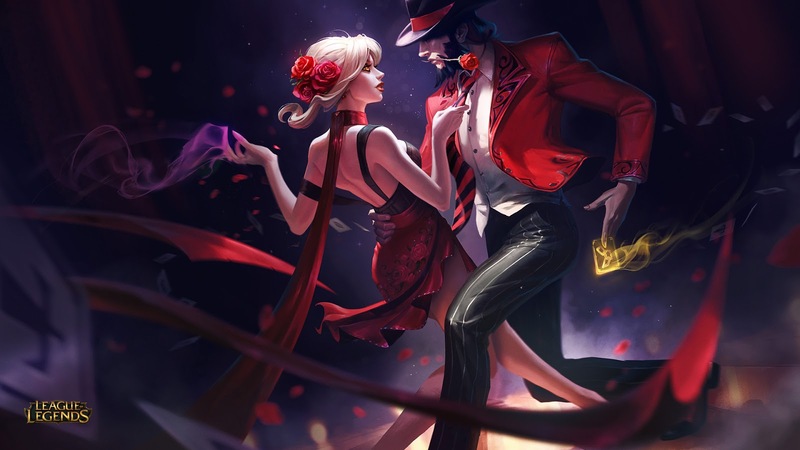 Evelynn is then granted a short burst of movement speed. Entering Demon Shade upgrades Evelynn's next Whiplash into Empowered Whiplash. 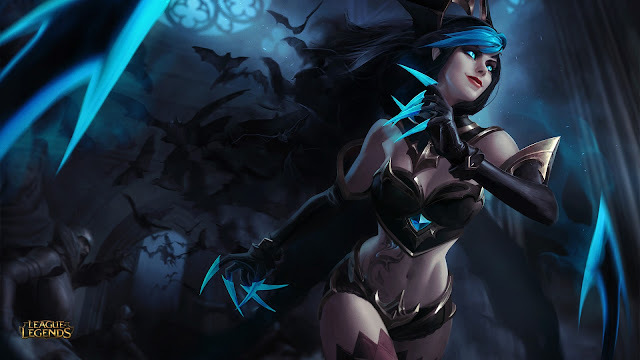 Empowered Whiplash -Evelynn pulls herself to her target before impaling them, then deals Whiplash's effects to her target and all nearby enemies. 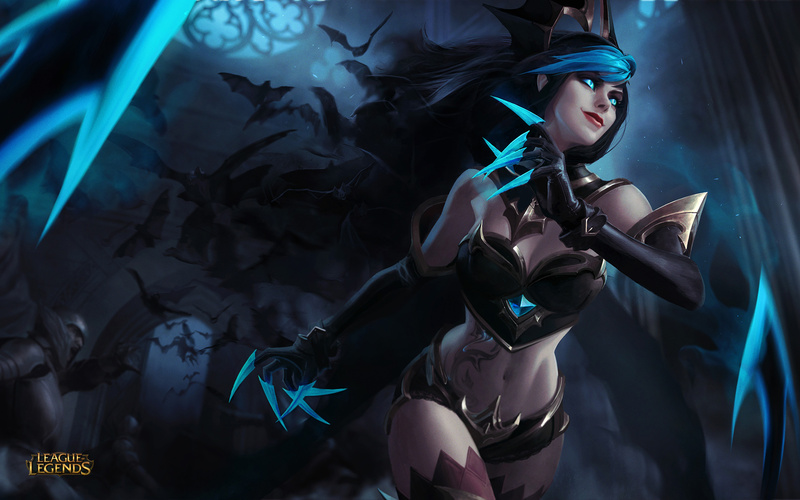 Evelynn unleashes her demonic energy, becoming untargetable and decimating enemies in front of her. She then warps backwards. This ability deals bonus damage to low-health enemies. As Evelynn, you're a living nightmare for your opponents on the Rift. When you sprinkle Lust Dust on your crush, they'll know they're being stalked, but they'll have an idea of your location for a fleeting instant. The next few moments are emotional torment for your victim. Once you've finally emerged, you've got precious few moments to enjoy your handiwork. Burst your opponents as quickly as possible with Hate Spikes, and stick to them with Empowered Whiplash. When you've had your fill, Widowmaker lets you slip back into the shadows. Now that Evelynn's camouflage doesn't kick in at the start of the game, she's less of an early threat to lanes. But when Widowmaker activates, it's built-in untargetable effect makes her one of the best level six towerdivers in the game. Landing Lust Dust's charm reduces your target's magic resist. This makes Eve a particularly good pick when you have lots of magic-using teammates who can easily follow up on your engages. Be mindful of how you use your Q when clearing camps. Land the initial cast of Hate Spikes on the biggest baddie in the camp so your subsequent casts deal bonus damage to it. And, as with pre-rework Evelynn, try to maneuver the smaller critters in the camp into a line so you're not just spiking the trees.